I cannot say I like one more than the other because each activity is glorious in itself. The rewards different, the experiences unique. Of course logistically, running is very convenient and accessible for me, whereas hiking requires more planning and more complicated transportation plans. Hiking overview: Lisa and I had a great time hiking at Bear Mountain last Saturday. Not only did we hike part of the Appalachian Trail (towards Georgia hahaha! 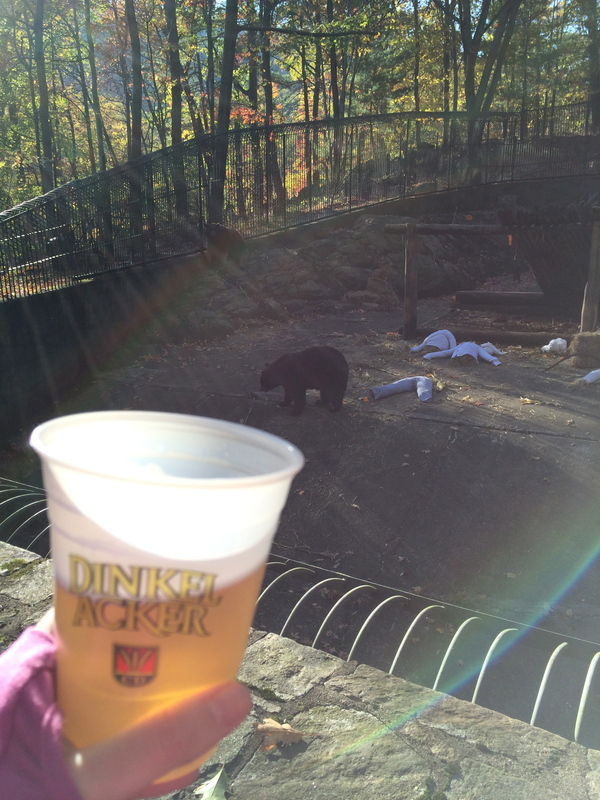 ), we stopped at the area’s Ocktoberfest and wandered through the Bear Mountain “zoo” with beer in hand. 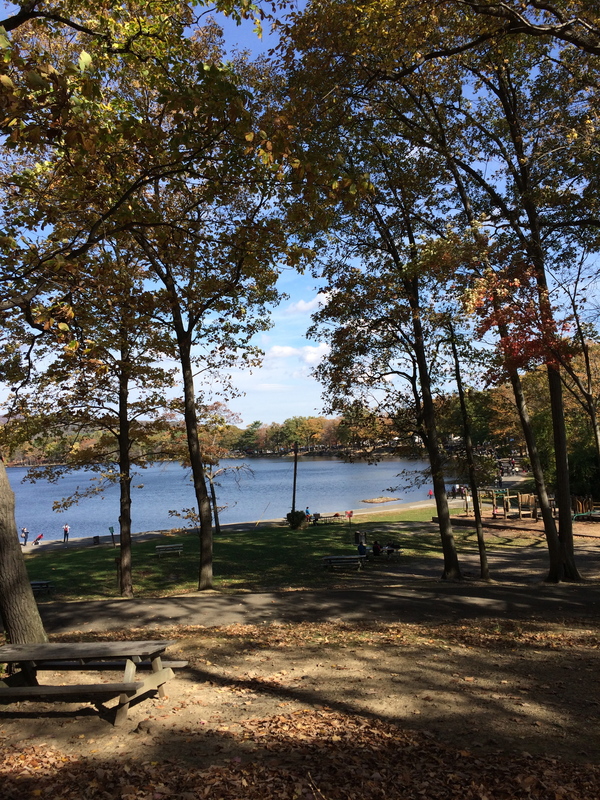 The weather was gorgeous considering it was the last weekend of October. Usually our weather at this time of year is quite nice, minus the last two years (Sandy last year and blizzard the previous year). This was a most enjoyable day. 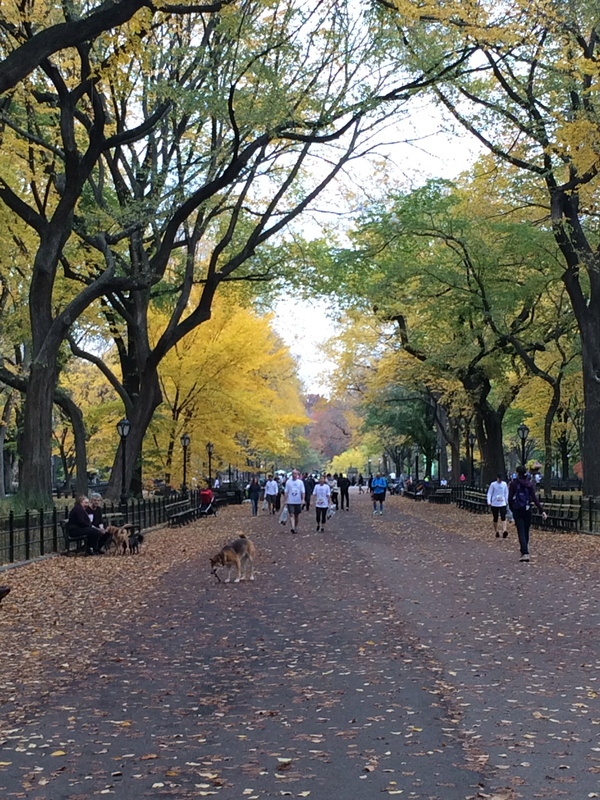 Today’s race: Dash to the Finish Line, a warm-up to the ING NYC marathon. A little jaunt that started three blocks from my apartment (awesome), ran west on 42nd Street (awesome), up 6th Avenue to Central Park and ended at the marathon finish line of tomorrow’s marathon (fabulous). 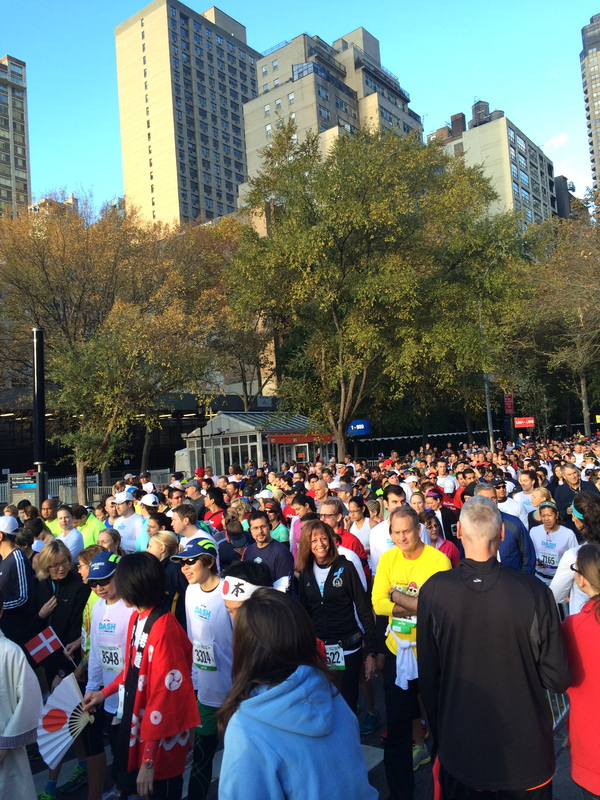 I’m pretty sure next year I will be crossing that line after venturing the 26 miles through all five boroughs. I’m driven to do it and I think I can. I have a year to prep myself mind. Oh and my body. So what do I choose? 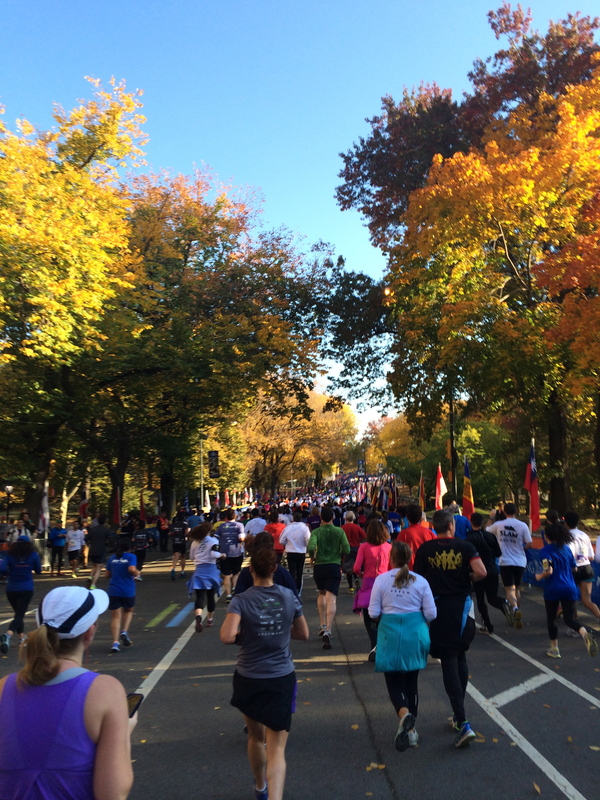 Well you know I love running. 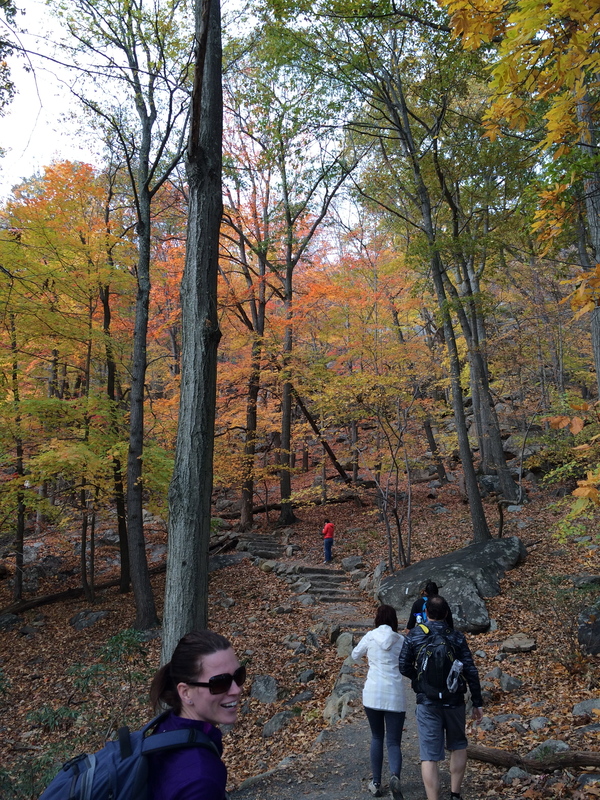 But if I had more opportunity and willingness to seek out nearby hikes, I would probably hike more. I’ve just gotten so used to how races work, knowing what I need, etc, I’m not sure I will put in the same effort to find hikes. Unless of course they are arranged by someone else or LivingSocial again!